Currently, Kia seems to be on a roll with its crossovers. The compact Soul, for instance, has generated quite the following, the upcoming Niro hybrid looks set to be a real success story for Kia, and the Sportage and Sorento SUVs are amongst the finest examples in their respective classes. As a result, it’s perhaps easy to forget Kia makes more than high-riding family cars, with perhaps the most accomplished of the bunch being the Optima sedan. Even before you factor value into the equation, the Kia Optima already performs well when it comes to practicality, comfort and ease of use, so the fact it’s not too expensive to buy when compared to some rivals automatically puts the Optima on a high pedestal. For sure, the Kia Optima does have its problems, and those advantages it does have are whittled away when you start looking at competitors that don’t stray too far from the Kia’s MSRPs. But it’s a testament to how good the car is overall that, even when factoring in these flaws, the Kia Optima is a vehicle we have high opinions of. Since our biggest complaint with the interior is that it’s a bit dull, though, should be a clear indicator that this cabin is quite a good one. Let’s get this point out of the way first: the Kia Optima’s cabin isn’t very exciting to look at. Yes, it’s build to a good standard, and there’s not really much we can find fault with ergonomically, but we would have liked the car’s interior even more if it was as handsome or as interestingly designed as the exterior. Since our biggest complaint with the interior is that it’s a bit dull, though, should be a clear indicator that this cabin is quite a good one. Though some control placement isn’t quite to our liking (namely the touchscreen that’s notably recessed into the dashboard), the Kia Optima more than makes up for that by having a relatively simple array of controls that can be operated on the move with ease, and the touchscreen display’s slick interface almost completely makes up for our aforementioned positioning qualms. The days where Kia made huge fit-and-finish jumps in between model generations appear to be behind us now. 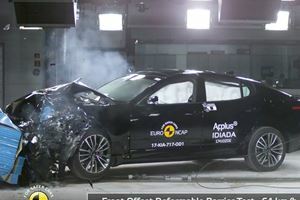 Build quality is also at a high standard that, even though it’s pretty common place by Kia standards now (the days where Kia made huge fit-and-finish jumps in between model generations appear to be behind us now), still impresses us. Even better, interior cabin space is to a high standard as well: bar slightly compromised head room for taller passengers who make do with the middle seat in the rear bench, there’s enough all-round space for passengers of most dimensions to sit comfortably over longer journeys, and cubby spaces are quite plentiful in terms of size and total too. Finally, trunk capacity is also good by class standards at 15.9 cubic feet, with a fairly broad opening and a boxy enough shape to accommodate larger items with relative ease. All that’s really holding the trunk back, though, is when you fold down the rear seat backs to form an even larger load bay: there’s a lip in the floor where the seats hinge from that could prove problematic, with the tapering aperture that leads into the passenger cabin when the seats are folded down potentially being an even bigger irritant. The Optima’s steering is a bit on the numb and vague side. Though us motoring critics often go on for ages about stuff like steering feel and turn-in response, we’re well aware of the fact a majority of buyers simply won’t care about grievances like that. So, to streamline this review for those who aren’t really fussed by those sorts of things, we won’t go into too much detail over the Kia Optima’s finer driving dynamics. Not that we’ll completely ignore them, mind. For instance, we’ll use this paragraph to quickly mention how the Optima’s steering is a bit on the numb and vague side, and there’s a tad too much body lean during cornering for our liking. Thankfully, that’s about where our more significant criticisms come to an end. 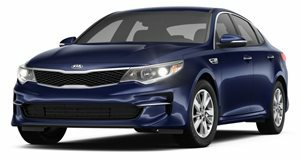 If you’re after a family sedan that works as a long distance highway cruiser, the Kia Optima should be right up there at the top of your wish list. Though those aforementioned points do mean cars like the Ford Fusion are that bit easier to recommend to buyers who prefer a more dynamic verve to their mid-sized family sedans, they don’t compromise on the Kia Optima’s day-to-day usability. A lot of that comes about via the rather impressive refinement levels, with high speed wind and road noise suppression being exceptionally good in the Kia Optima by class standards. Coupled with the well-judged ride that, bar the ever so slight roly-poly aspects, does an incredibly balanced job of keeping the Kia Optima’s size and mass in check whilst also being soft enough to soak up rougher road surface imperfections. If you’re after a family sedan that works as a long distance highway cruiser, the Kia Optima should be right up there at the top of your wish list. Better still, those handling remarks don’t mean the Kia Optima’s a horrible car to drive. Yes, other comparable vehicles are that bit more enjoyable to steer, and we will concede that rear visibility is compromised by chunky rear posts and the slanted rear window, but everywhere else the Kia Optima performs really well – most notably with regards to forward visibility and, thanks to the slightly vague steering also being rather light, the ability to place the car accurately on the road. The Kia Optima is available with three engine options, all of which being four-cylinder gasoline units. Not including the Hybrid off-shoot model (which we’ll get back to in a brief moment), the Kia Optima is available with three engine options, all of which being four-cylinder gasoline units: a 2.4-liter, a turbocharged 1.6-liter and a turbocharged 2.0-liter option. As the latter option is only available in higher-spec SX and SXL trims, we’re perhaps more inclined to suggest the 1.6-liter is the better all-rounder for more people. For sure, it’s marginally less powerful at 178-hp in comparison with the 185-hp 2.4-liter, but the smaller unit has more torque (195 lb-ft versus 178 lb-ft) over a far broader portion of the rev range, so is that bit better at bringing the vehicle up to speed. The fact it’s also a little bit more refined and can return 28/39mpg in the city and highway respectively – a stark contrast with the 2.4’s 23/28mpg ratings – means it’s also the more useful if you plan on using your Kia Optima frequently on longer journeys. The only downside to the 1.6, in fact, is that its $24,140 MSRP means it’s two grand more expensive than the entry-level 2.4-liter (the 1.6 is only available in the most basic ‘LX’ trim), and the mid-range EX-spec 2.4 is only $1,000 more expensive than the 1.6. Comfortably our favourite engine of them all, though, is the 245-hp 2.0-liter, which (as you can probably tell by the power output) turns the Kia Optima into quite a brisk family sedan. Factor in its lovely refinement and the slick-shifting six-speed automatic it shared with the 2.4-liter – and, whisper this, we think is actually a little bit better than the seven-speed dual-clutch that comes with the 1.6-liter – and you have the makings of a really good powertrain choice. The Kia Optima Hybrid promises to blend 1.6-liter-esque fuel economy with pace more at the turbocharged 2.0-liter end of the spectrum. What really holds the 2.0-liter turbo back, though, is the fact it’s incredibly expensive: even the most affordable SX model will set you back $29,000, and the even more luxurious SXL retails for $36,000. That’s a lot of money for a Kia Optima and, whilst it’s a really good car with a lot of kit in these guises, a lot of really good sedans are available at this price that we feel the Optima does struggle to compete head-on with. We mentioned the Hybrid earlier, and now’s the prime time to re-introduce it to the discussion. By prizing a combined 199-hp and 245 lb-ft of torque from a 2.4-liter gasoline engine/electric motor setup, the Kia Optima Hybrid promises to blend 1.6-liter-esque fuel economy with pace more at the turbocharged 2.0-liter end of the spectrum. And, for the most part, it works: there’s lots of pulling power across the rev range, and the claimed combined economy figure of 38 mpg is quite good for a car of this size. Plus, as the starting model comes with a decent amount of kit as standard, the most basic $25,000 Kia Optima Hybrid looks like a worthy alternative to the more conventional models. That said, we’d still be more inclined to recommend the 1.6-liter over the Hybrid, and this more efficiency-conscious model does face some stiff competition from the likes of the Toyota Camry Hybrid. Not the bargain it once was, but still good value – and what a warranty! 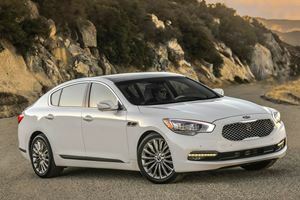 The current car is now a far more premium and mature offering – and, as a result, it’s no longer as affordable as Optimas used to be. Something had to give as Kia’s became ever more upmarket, and that sadly had to be the prices. Whereas the old Optima used to be a cheap and cheerful option, the current car is now a far more premium and mature offering – and, as a result, it’s no longer as affordable as Optimas used to be. That said, the Kia Optima is still a very well-priced machine. Not only is the $22,140 asking price for the most basic Optimas actually quite affordable, but you also get a fair bit of equipment as standard. Entry-level LX models, for instance, get power adjustable seats, cruise control, a swish LCD touchscreen interface and a reversing camera as standard, with those who progress to the marginally more expensive EX spec finding themselves with extras like leather seats and dual-zone climate control. A larger touchscreen, built-in navigation and shifter paddles behind the steering wheel that allow you to change gears do come on the SX cars, but – as they’re considerably more expensive than the EX – we don’t really feel they’re worthy incentives for the higher spec cars. 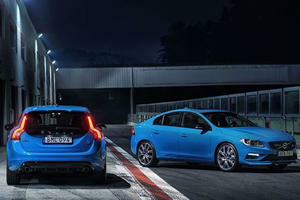 That is, unless you already have your heart set on the 2.0-liter turbo engine that’s exclusive to the SX and SXL specs. d.
The Kia Optima has a stellar set of warranties: up to 10 years/100,000 miles for the engine, and 5 years/60,000 miles for the rest of the car. No matter which model you go for, though, your Kia Optima will be loaded with tons of safety features – ranging from a complement of seven airbags, hill start assist and a wide variety of stability and traction control systems. Go for higher spec models, and extras like autonomous braking, blind spot warning and 360 degrees camera systems can also be installed, which we feel are worth having access to if your budget stretches that far. Perhaps most reassuringly of all, the Kia Optima has a stellar set of warranties: up to 10 years/100,000 miles for the engine, and 5 years/60,000 miles for the rest of the car. Such an extensive scheme is representative of Kia’s confidence in the Optima’s reliability, and it’s perhaps this reason why residual values for the Kia Optima are also quite good by class standards. That's why many cars have more than one name around the world. A two-star difference between top trims and base models is never a good look. If you are looking for a certified pre-owned car, these are the brands you should buy from.